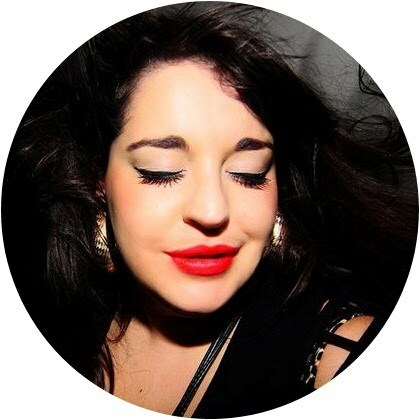 Last week I had the pleasure of being a Contributing Stylist and Writer for The Debrief. I decided to head to Monki, (one of my favourite High Street stores) and try on absolutely everything in the shop that I thought would fit me, document it all and pick my top 6 looks. I discovered Monki when I lived in Stockholm, Sweden and realised that they catered for the bigger girl because they often stock over size, loose fitting garments. I was so happy when they came to the UK and I regularly pop into their store on Carnaby Street when I fancy that in-real-life shopping experience which is often taken away from you if you are fat and can't fit into half of the clothes on the High Street. Well, here is the article I wrote if you fancy taking a peek at it and below are lots more of the outfits I tried on whilst I was in the store. As you can see, they have lot's of options! I am a UK 20/22 and often fit into their size M which is equivalent of a UK14. 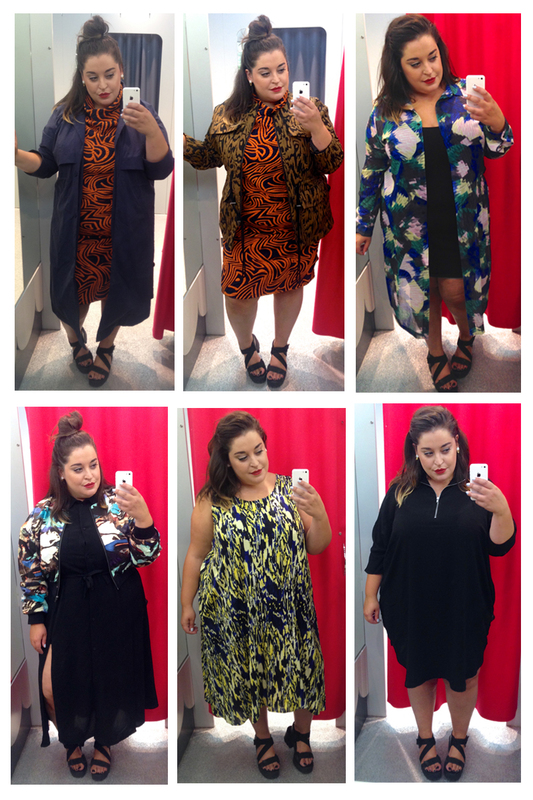 If you aren't able to head to a Monki store, have a look at their website OR they even sell a select range on ASOS. Monki always have so many fab and bright pieces. Really love them. So glad they made the trip to UK shores! Love all these looks. And the shoes, where are they from? 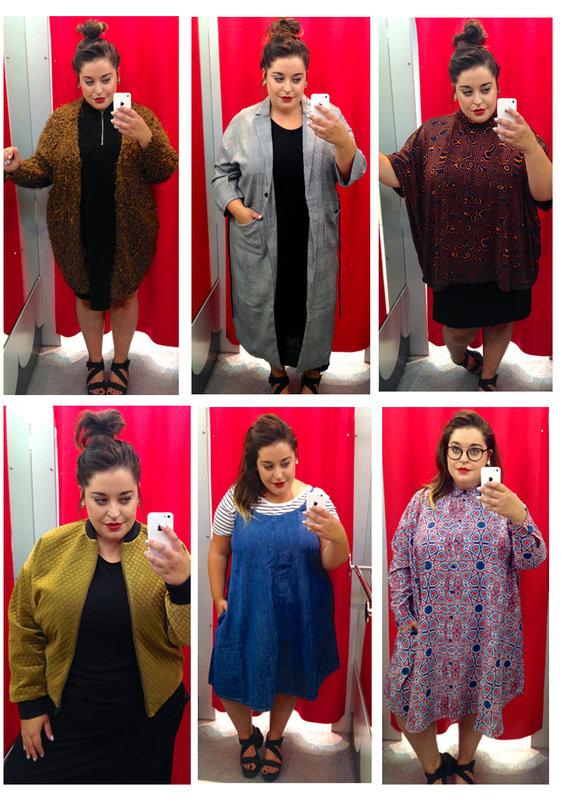 I love this roundup of looks as it gives me a good idea of the Monki brand. I'm not familiar with them and see they don't ship to the US, so I'm thrilled they offer some pieces through Asos. I'm a sucker for wild, colorful prints, and these are so fun! Thanks for introducing me to something new!